Is Pakistan Expelling Hundreds of Thousands of Afghan Refugees? More than three decades ago, Sharbat Gula’s piercing green eyes and haunted expression appeared on the cover of National Geographic. The 12-year-old girl became a powerful symbol of the plight of Afghan refugees who fled to Pakistan during the Soviet war. Now she is the face of a new group of Afghan refugees—those being forced back across the border. 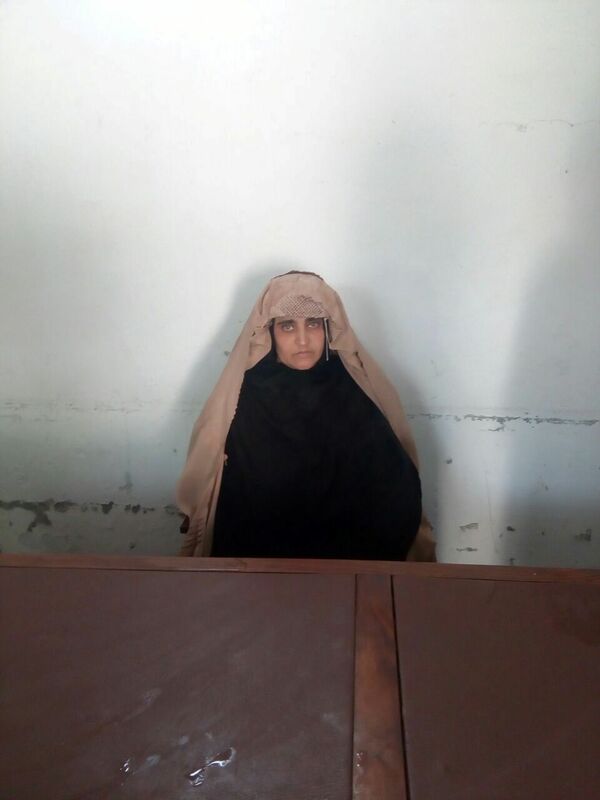 On November 9, Gula, 44, was deported to Afghanistan with her four children, having been arrested in Peshawar for carrying a fake Pakistani identity card. To many in Kabul, her case is evidence of a wider crackdown. Since July, more than 500,000 Afghans have abruptly left Pakistan. By the end of the year, United Nations officials project the total will exceed 730,000, divided roughly equally between refugees and “undocumented” migrants who may have settled in Pakistan for generations but never obtained refugee status. Widespread reports of harassment and intimidation have fed suspicions that Pakistan is coercing whole communities of long-term refugees to leave in what could constitute the biggest forced migration anywhere in the world. Islamabad insists the Afghans are returning voluntarily, and that the country will work with the U.N. and the government in Kabul to safely repatriate its 1.5 million registered refugees. (At least another million Afghans are estimated to be living unofficially, like Gula.) “Afghans are our brothers and very dear to us,” said Pakistan’s prime minister, Nawaz Sharif, in a recent statement. But Afghan refugees, long used to shakedowns by Pakistani authorities, say the harassment has intensified since June, when the two countries briefly exchanged fire near Torkham, a mountain pass that forms one of two main crossings along their shared border. 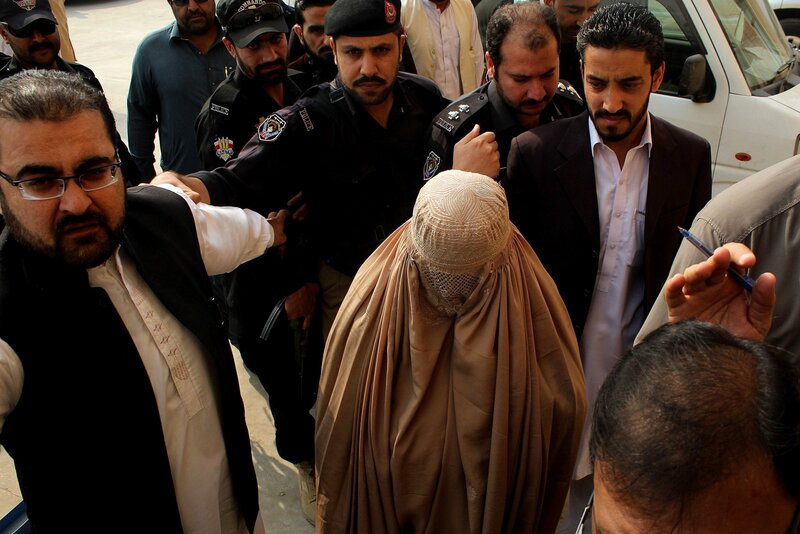 Human rights activists say Pakistani police have since begun to demand exponentially higher bribes and thrown refugees in jail on flimsy pretexts. The refugees believe Pakistan is nudging them out to punish Afghan President Ashraf Ghani for seeking closer ties with India, its nuclear rival. Pakistan’s military has long worried about being outflanked by New Delhi in Afghanistan, and this fear prompted the country’s intelligence agencies to support the Taliban in the 1990s. In September, much to the ire of Pakistan’s generals, Ghani returned from talks in New Delhi with a pledge of $1 billion in economic aid. The agreement came as renewed tensions in the disputed Kashmir territory caused greater antagonism between Pakistan and India. Afghan refugees say the tension is palpable. Long dubbed “Kabulis” by their neighbors, some Afghan Muslims living in Pakistan say they’re now being called Hindus. Many returnees are marooned on the Afghan side of the desolate frontier, and aid workers fear they could succumb to malnutrition, disease or even freeze to death. Although donors renewed their commitments to Afghanistan at a conference in Brussels in early October, the U.N. World Food Program is struggling to raise the funds to feed the new arrivals—along with the hundreds of thousands who were forced out of their homes by this year’s Taliban offensive. “It’s going to be terrible for women and children when winter hits,” says Angelline Rudakubana, WFP’s deputy country director in Afghanistan. What’s worse: The number of Afghans looking for shelter will increase as Europe starts forcibly deporting tens of thousands of failed asylum seekers under a new agreement with Ghani’s aid-dependent government. On November 9, the president personally welcomed Gula back and has promised her a house. But she is a celebrity; few other Afghans can expect such generosity. With the Taliban inflicting heavy casualties on the Afghan army and police, Ghani’s chances of negotiating an end to the war seem slim. In the Red Cross hospital in Kabul, a soldier named Hamidullah, who lost his right leg in a suicide bombing, waits to try out a plastic prosthetic. He says 16 of his colleagues were killed in the blast and 42 were wounded. “When I go back on duty, they won’t put me on the front line anymore; they’ll give me a desk job,” he says. Afghans may no longer be welcome in Pakistan, but for jobless returnees of fighting age, the security forces have plenty of openings.